Since 1977, Roche has specialized in producing the highest quality, retractable solar shading for glass structures – residential, commercial and industrial. 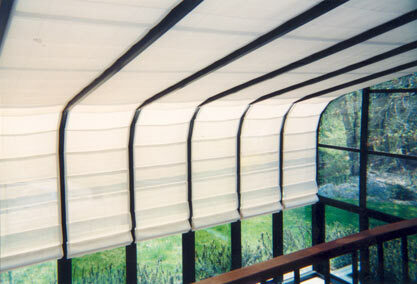 Functional and beautiful, our shading products provide heat and lighting control, added security and help protect your valuable furnishings from harmful UV rays. We offer a full line of decorator fabrics, carefully selected for their proven resistance to UV degradation and for the adaptability to a range of shading requirements.